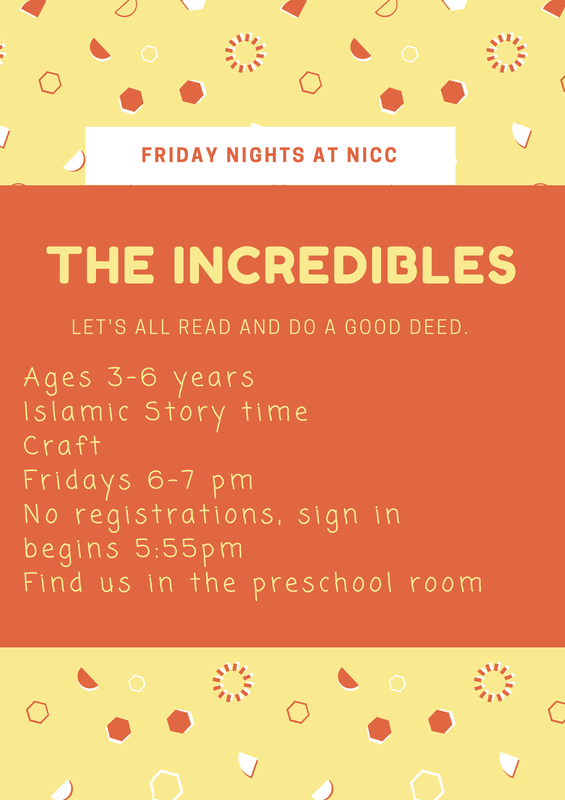 Bring your children in for an Islamic story time and craft on Fridays in the NICC basement. This program is for ages 3-6 years and requires no registration and no fees. We will begin promptly at 6 pm and parents of young children are asked to stay with their kids.